The truly remarkable Black Spellbooks of D. A. Houndstooth have laid, untouched and forgotten, for decades. Finally re-discovered, revisited and fully-revised and updated by the enigmatic Houndstooth himself, THE DARK EMBRACE is the very first collection of material from the Houndstooth Archives to EVER be released to the general public at-large. And what a truly ASTONISHING Collection of material it contains! If you have been searching for AUTHENTIC Black Spells which WORK, Houndstooth claims that his Rituals, Ceremonies, Hexes and Bindings are simply the most effective that anyone can use, no matter what their issue or background. 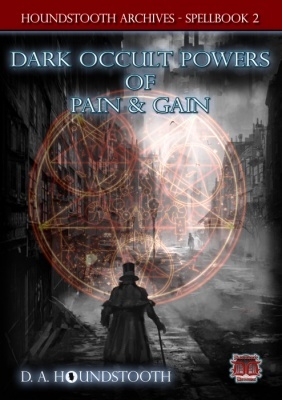 Let us be clear; the material contained within THE DARK EMBRACE has never seen the light of day, before now, and could effectively CHANGE YOUR LIFE for the better, within a very short space of time! 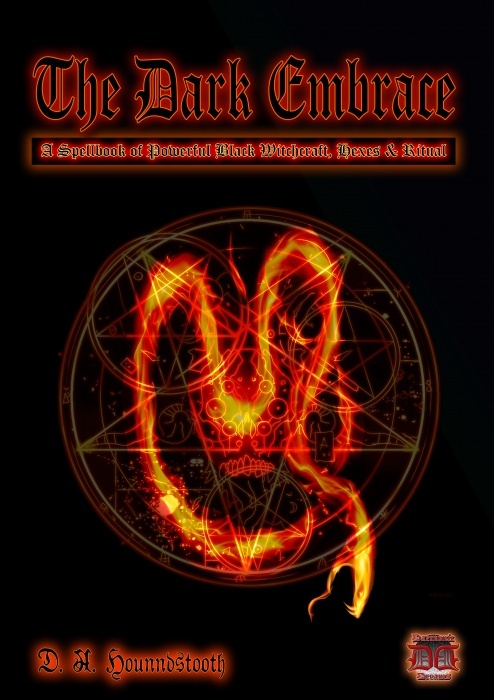 Within the pages of this remarkable book, you will find a mass of practical, yet powerful and simple-to-use Rites of a Black Magickal nature. Each is fully-described, and many contain real-life examples of the effects, so you can be certain of its intended nature. Divided into main three sections, THE DARK EMBRACE covers Introductory topics, essential Precautions and Protections for using the Rites, and a massive variety of Rites for practically EVERY desire or need you may have; from Hexes and Curses to remove each and every obstacle from your path, to the Forbidden Black Spells of Power, Prosperity and Gain, no stone is left unturned to bring you one of the most diverse collections ever published. The final section of THE DARK EMBRACE contains a full set of ADVANCED RITES, for the most serious of purposes. It should be noted that a number of these Advanced instructions include minor blood-letting and so-called Higher Hexes. Consequently this book is NOT for sale to Minors, nor is it recommended for anyone of a less-than-stable disposition.